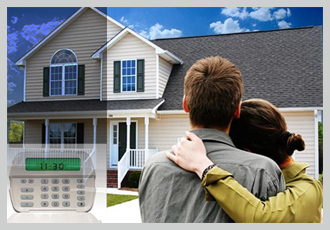 Home alarm security systems deter thieves and reduce your chance of a break-in! 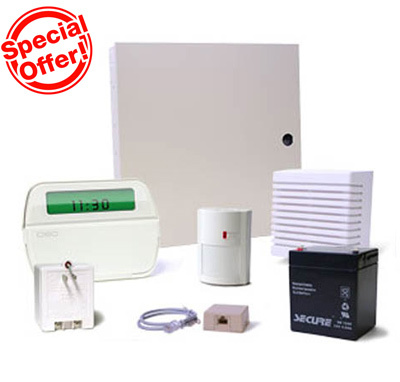 Since 1990 we have been offering a variety of home alarm systems to match any home or budget. We offer a FREE alarm system as well as a variety of security systems and components from trusted names in security like DSC, GE, ITI, Honeywell and more. Explore our variety of home alarm systems and security products or shop online at YourAlarmStore for prices and specification. Secure your door, gate or window with removeable security bars. Protect your home with fire alarms and smoke detectors. Achieve peace of mind with our Medical Alarms that ensure help is always just a push of a button away for elderly or disabled loved ones. Have your security services monitored 24 hours a day, seven days a week with our monitoring service. According to the latest Police statistics, your home or business is 10 times less likely to be broken into if an home alarm system is present. Even in the event of a break-in, substantially less property is stolen. Insurance companies also recognize the benefits of having a security system and typically offer a discount of up to 20% when alarm is present. For more than 20 years, SafeTech has installed and monitored home alarm security systems in homes of all shapes and sizes. Our loss prevention team understands the importance of blending different types of security technology together in order to protect your property. We know that the right combination of physical security, home alarm system monitoring and technology are crucial to providing superior protection. Contact us today for more information.